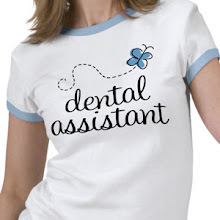 Most Dental Assistants work hard to ensure the best quality treatment available to all patients. However, there are those who don’t live up to the expectations of the patient. The patient has the right to address this issue with the dental facility. If they do not feel their complaint has been properly handled, they can then file a complaint with the State Dental Board. State Dental Boards are responsible for regulating dental practices. They work hard to protect the public against improper behaviors by Dental Assistants, Dental Hygienists, and Dentists. They are to thoroughly investigate all complaints filed that involve competentcy. State Dental Boards do not handle complaints such as fee disputes, personality conflicts, rude behaviors, or difficulty with scheduling appointments in a timely manner. Such issues are to be referred to the Better Business Bureau. It is important to file a complaint with the State Dental Board as soon as possible to allow then to be of the most help. Most states allow you to file your complaint online, over the phone, or you can request a form be sent to you in the mail. Some states will only accept a complaint in writing. Dental Assistants need to be aware of the process that patients can go through if they have a complaint. Dental Assistants need to be cooperative during the investigation. If a Dental Assistant feels a patient may file a complaint, it is important to write down as much information as possible. This information needs to include the patient’s name, date, time, and what took place. Also document any verbal interactions and who all was present to observe the incident. This information will be very useful to you and to the State Dental Board. The Dental Board works hard to resolve the issue as quickly as possible. However, it will not rush the efforts to investigate it properly. Some complaints are resolved in a matter of days while others linger for years. Once a complaint has been filed, a copy of it is sent to the dental facility for a response. Generally, the dental facility is given a specific time frame to have their response back to the State Dental Board. Once the response is received and reviewed, the Dental Board will compare the information to that on the complaint. From there, a course of action will be mapped out. This generally involved conducting interviews of all parties present during the incident. A panel is set up to investigate if any dental laws were violated. If there appears to be a violation, a hearing will be scheduled. The Dental Assistant will be notified as well as required to show up for the hearing. If the Dental Assistant is found to be in violation of dental laws, the Dental Board will issue a reprimand. This will depend on the state guidelines as well as the violation. Reprimands may include a letter of apology, suspension, probation, or even revocation of the Dental Assistant’s license. The Dental Board is not allowed to require monetary compensation. If the person filing the complaint want to be compensated in that manner, they will need to file a civil suit with their local judicial system. Dental Assistants who find themselves in the middle of a complaint issue with the Dental Board are likely to experience anxiety and fear. Many dental facilities will provide the individual with counseling as well as legal consultation. In most cases, it will depend on the issue the Dental Board is investigating. If the dental facility backs the Dental Assistant they will do all they can. However, if they feel the Dental Assistant is in violation of dental regulations they may terminate the individual, leaving them to pay for their own defense. It is the responsibility of the Dental Assistant to follow all policies and procedures correctly. If you have any doubt, take the time to have everything explained to you. Losing a complaint under the Dental Board can cost you your job, as well as your career. If you lose your license, you may find it difficult to obtain another job in the profession as a Dental Assistant. Making sure you follow policies and procedures will ensure that you have a good chance of winning such complaints upon a complete review and investigation by the Dental Board.